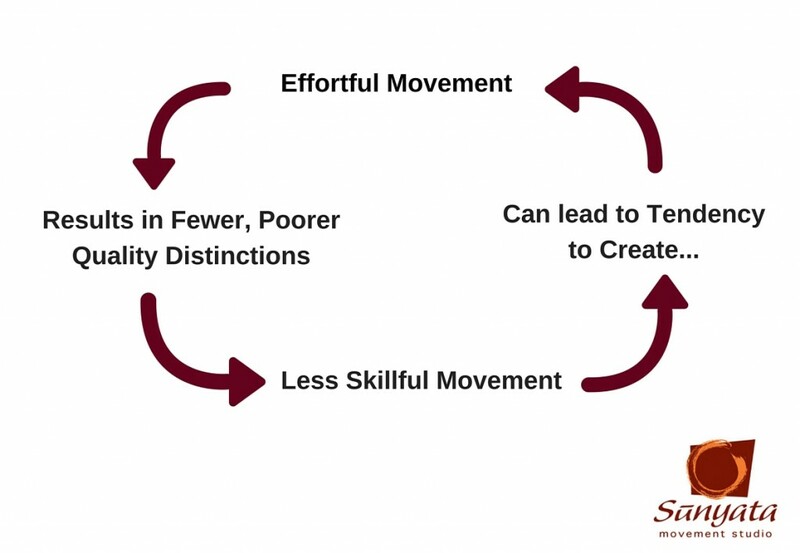 In last week’s post, I introduced this series on Quality Movement. In it, I suggest that “good posture” isn’t necessarily all its cracked up to be. 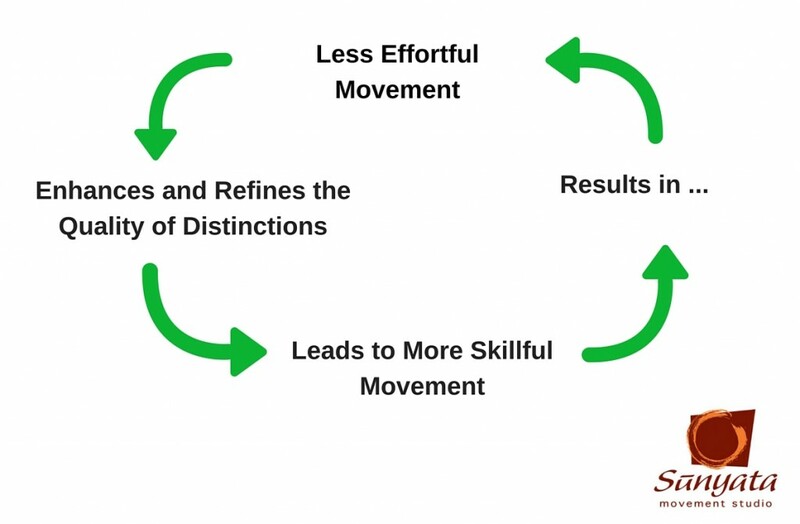 This week, we’ll take a look at another way to consider “posture”, and explain more about the nature of the first of the four elements of quality movement, the absence of effort. 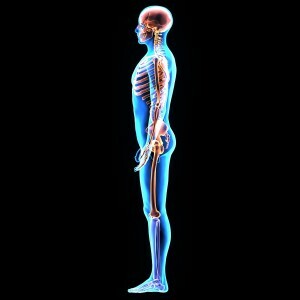 He pointed out that the image of ideal posture shown in medical textbooks or on those medical charts with a plumb line overlain on the skeleton is a pretty crazy way to look at what “proper” posture is. For starters, such an image doesn’t take into consideration the genetic situation of a person’s anatomy. Not a single one of us is born “perfectly” with every bone shaped exactly so. And some are born with significant alternatives to the so-called “ideal”, like those with congenital scoliosis. Does this mean these people can’t have good posture/acture? Absolutely not! Neither does it take into consideration that we’re not simply skeletons. We are each a unity, a unity that has a brain —- a brain that learns. Each of us has a unique history of injuries, traumas, challenges and successes that quite literally, shape us. I maybe went from a wheeled walker thingy to walking super early with very little crawling. You, meanwhile, might have done an awful lot of “side sit scooching” with a preference to side sit right and then up to walking with very little crawling either, for example. Heck, I have a nephew who was a log roller. Really! If he wanted to get across the living room floor to get to something that interested him, he would lay down on the floor, log roll over, then pop up into sitting and play with whatever it was that had captured his interest. Others spend many months crawling everywhere and don’t start walking until after a year. All these variations shape us in unique ways. So to have one image of ideal posture is not useful. Another very important consideration is that this “ideal, text book posture” might hint at a general direction for all of us to move towards, but only for upright standing! Honestly, how often is this posture actually something you do? How truly functional is it? In other words, there isn’t much one can do in such a posture. It’s static and doesn’t really relate to a living, moving, active being. Not a single one of these examples looks anything like what that medical picture looks like. And yet you can probably recognize the difference between poorer posturer/acture and better posture/acture. So what it is that you notice? 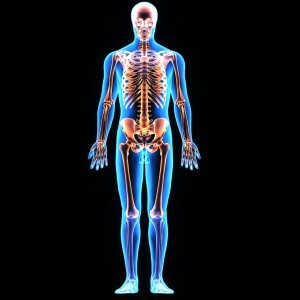 What Makes for Good Acture (Posture)? The first criterium listed above isn’t quite enough to determine whether something has been done well or not. It isn’t irrelevant, but you could accomplish your goal incredibly unskillfully and perhaps with significant negative consequences. If that were the case, would the acture have been “good” acture? I don’t think so, and neither did Feldenkrais. To make this clear he pointed out that it’s not that a person paints but how she paints; it’s not that you play the piano, but how you play that determines whether or not you’re acting well. It’s the way the action is accomplished. As far as potent, healthy behaviour goes, nothing is more important than the degree of internal compulsion with which we act. The important things will take care of themselves; we always have to eat, think and learn, have children and die — no matter what we may believe. The way we do these things is the cardinal point of healthy or unsatisfactory behaviour. So what do we have to learn? Today we’ll take a closer look at the first: The Absence of Effort. “In good action, the sensation of effort is absent no matter what the actual expenditure of energy is. 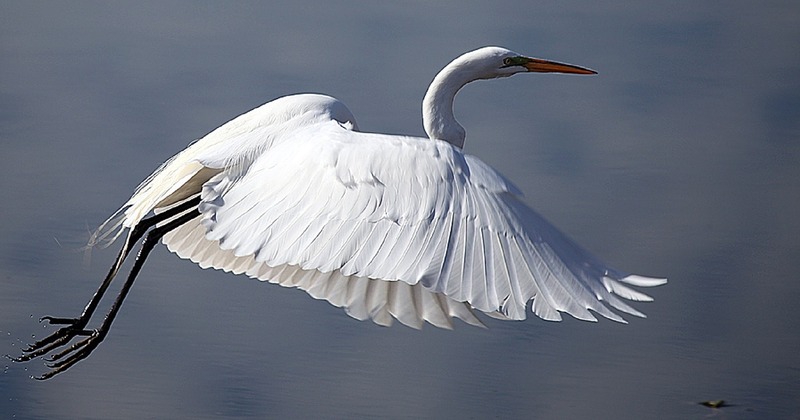 But take even just a moment to consider why it’s so wonderful to watch the most beautifully graceful dancers, paragons in sport, or healthy animals moving in the wild and you realize that it’s the un-conflicted motion, the absence of the appearance of effort, the utter grace that captivates us. If you actually imagine the sensations you’d have, or in fact do it just as a beginner would, you’ll quickly notice how much wasted effort there is! Don’t get hung up on the word “incompetent”. It is not a judgment regarding your or my quality or value as an individual. It simply points out that we are not yet skilled at something — not yet competent. It continues to amaze me just how much we interfere with our own natural intelligence. I’d venture to say that the majority of what we need to do to learn to move spontaneously, potently and skillfully is notice all the ways we’re adding more than required, and STOP doing all that extra wasteful work. It’s incredible how often clients will say something like, “But I don’t know what I’m doing to get this great feeling”. This comes up when I help them feel that they can move with so much more ease and power then they had been with their previous habits. They certainly feel the difference. They are producing the difference between the two ways quite beautifully all on their own. So what is it that they don’t know? But the point to be made here is that all too often it isn’t so much about what they are “doing” to have the new ease and power. It’s about what they stopped doing. They removed the tendency to limit their natural, flowing movement. In the blog post: How to Find the Strength & Power to Move with Grace & Ease, Even if You Have a Back Injury I attempt to describe some of the neurology that helps explain this. In it, I wrote about the anti-gravity mechanism and how it’s controlled by parts of our brain much deeper than our forebrain. This deep area does not require our voluntary motor cortex to engage our anti-gravity musculature. In other words, we don’t have to work so hard to have “good posture”. It’s more about working intelligently, efficiently, and naturally. Instead of allowing our system to work efficiently and effortlessly, too often we interfere and manipulate ourselves with such compulsivity, we begin to think it’s necessary and normal. In reality, we are far more capable than we often give ourselves credit for. But how do we go about stopping those unnecessary elements? We often don’t even recognize how much extra, wasted effort we put into things. And because we are so darn used to the sensations, we think they’re normal. It’s a bit of a vicious circle…. You can cut yourself some slack with regards to moving inefficiently. How could you move better than you are given that you just haven’t known any different? Every single one of us has blind spots. Things we do that we just don’t know we’re doing. Places in ourselves that are obscure and unclear. In other words, practice dropping any critical, judgmental, harsh voice when uncovering your unskillful ways of moving and acting in the world. In other words, be present to your experience as you are experiencing it, with a gentle, attentive, open, inquisitive, curious state of mind while decreasing all the extra, wasted activity doing whatever you find yourself doing. You can’t do the thing you are currently doing with less effort without automatically improving your co-ordination. You can’t lift the 50-pound bag of bird seed into your car with less effort without improving your organization. The bag still ways 50 lbs. So what’s changed? You. Then there are the benefits of putting less strain on your system; less wear and tear. There’s also the benefit of having more energy and living with more vitality. Such a simple thing has such a profound impact. What might it feel like to stand, walk, talk, think, do with elegance, grace, vivaciousness, presence, freedom and natural, flowing movement? Explore, play, notice, learn, be curious about yourself —— all without judgment! If you haven’t joined my FREE Content Library yet, sign-up now! This Free Content Library will continue to grow on a regular basis. And you’ll have access to everything there for as long as you’re a member — completely free.